Have you seen the statistics? I was shocked to learn that, according to the Kaiser Family Foundation, children 8-18 years of age spend more than 7.5 hours a day using a smartphone, computer, television or other electronic devices. Aren't you just as shocked as I am? That is a TON of time! While it can be hard to imagine all of the screen time that today's youth encounter, it's a reality that isn't going anywhere anytime soon. We have to face it; modern technology is here to stay. So, we as parents must learn to navigate and safely incorporate it all, into our children's lives. There are plenty of ways that we as parents can ensure that our kids are using Internet technology and mobile devices in a responsible way. If you're feeling a bit overwhelmed, and don't quite know where to start, we've rounded up these valuable tips, from the experts at AT&T. Take advantage of parental controls. Ask your wireless and Internet service providers about parental controls available to you. For example, AT&T Smart Limits for wireless allows parents to block unwanted calls and data use; set text and purchase limits; limit phone use during certain times of day; check on daily phone activity; and get customized alerts and weekly reports. Parental controls for Internet service include the ability to block access to specific services, view your child’s activities online, and receive tamper controls alerts. Be aware of what your kids are doing online. Talk with your kids about cyber-bullying and other online issues regularly. o Know the sites your kids visit and their online activities. Ask where they’re going what they’re doing and who they’re doing it with. o Tell your kids that as a responsible parent, you may review their online communications if you think there is a reason for concern. o Ask to “friend” or “follow” your kids on social media sites or ask another adult to do so. o Encourage your kids to tell you immediately if they, or someone they know, is being cyber-bullied. 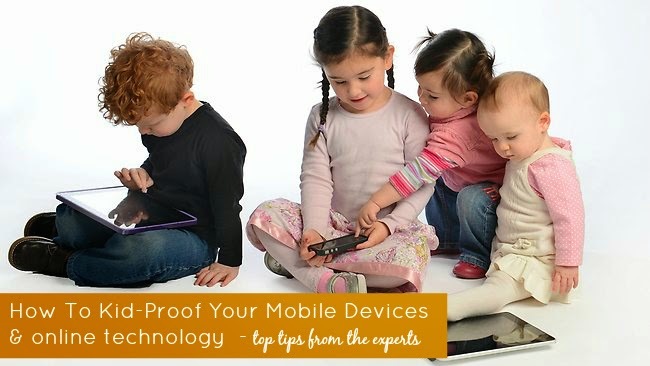 Let them know you will not take away their device if they confide in you about a problem. Establish rules about appropriate use of computers, cell phones and other technology. Be clear about what sites they can visit and what they are permitted to do when they’re online. Show them how to be safe online. Help them be smart about what they post or say. Tell them not to share anything that could hurt or embarrass themselves or others. Encourage kids to think about who they want to see the information and pictures they post online. Think about how people who aren’t friends could use the information. Remind them to keep their passwords safe and not to share them with friends because sharing that information could compromise their control over their online identities and activities. Check privacy settings on social media. Make sure you set the privacy settings on whatever social media your child uses but emphasize that there is no privacy. The more private, the less likely inappropriate material will be received by your child, or sent to their circle of acquaintances. Make sure your child understands that everything sent over the Internet or a cellphone is public and can be shared with the entire world, so it is important that they use good judgment. **// Disclosure: Company sent a review unit. All opinions expressed are our own.